The lawsuit named broker Matt Teifke, who says he had no part of the deal. AUSTIN, Texas — Your word may be your bond, but it feels like a little more for Matt Teifke. It’s his job security. “In real estate, reputation is huge,” said Teifke. He started working as an agent at 18 years old and has been in the industry for more than a decade. 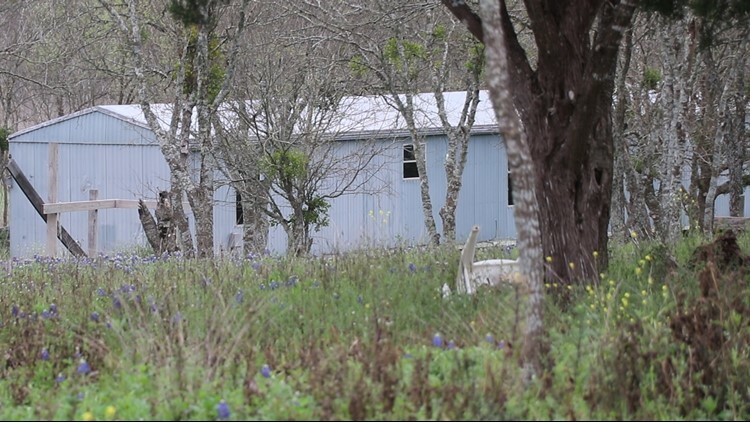 A lawsuit filed in Travis County tied Teifke to land bought by A.J. Shield and Uriel Castro. Shield and Castro are business partners who bought land near McKinney Falls State Park. The lawsuit showed it was an illegal subdivision and named Teifke as Castro’s current broker. “It was an agent that I sponsored about 30 days ago,” said Teifke. Records show Teifke sponsored Castro in February 2019. The land was purchased in 2017. One lot was sold that same year. No action was taken on the land while Teifke sponsored Castro. Teifke said he knew nothing about the deal made years ago nor the recent lawsuit and learned only after a KVUE Defenders investigation. A home sits on land purchased by A.J. Shield and Uriel Castro. Travis County sued the men saying the land was illegally subdivided. Teifke says he immediately cut ties with Castro after seeing our story. The Texas Real Estate Commission (TREC) shows Castro is now sponsored by Angela Lynne Francis with Stepstone Realty, LLC in Kyle. Travis County attorney David Escamilla filed a “Plaintiff’s Notice of Non-suit” removing Teifke from the case. The lawsuit filed by Travis County Attorneys is the second lawsuit against Castro and Shield. The county says the men ran a similar scheme near Leander.